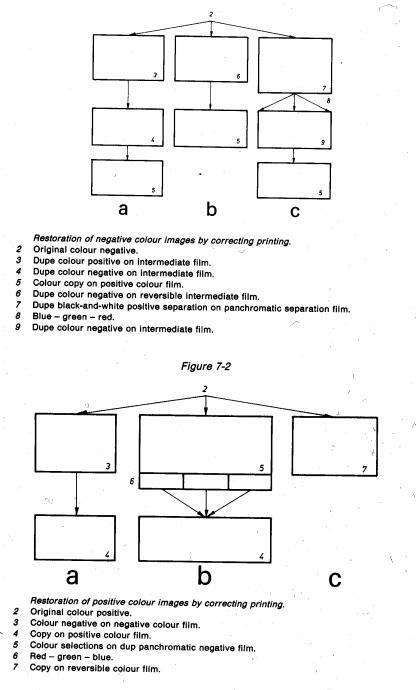 Preservation and Restoration of Moving Images and Sound, FIAF, 1986, 81. Preservation and Restoration of Moving Images and Sound, FIAF, 1986, 84. The first 4 digit number refers to the 35mm stock and the latter to the 16mm version. 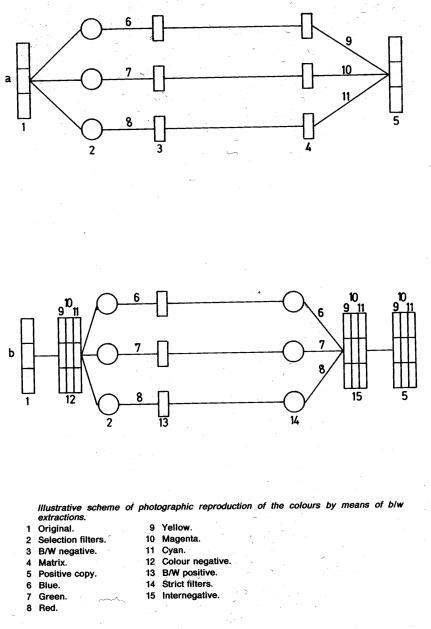 “Gelatine emulsion layers have the potential to last for centuries; together, polyester base, gelatine emulsion layers, and the correct choice of image substance will yield a pictorial recording medium that should survice five centuries or more at room temperature and moderate RH.” Reilly, 1993, 15. Preservation and Restoration of Moving Images and Sound, 1986, 72. Paraphrasing an email from Read, 6th July 2002. Read & Meyer, 2000, 219. 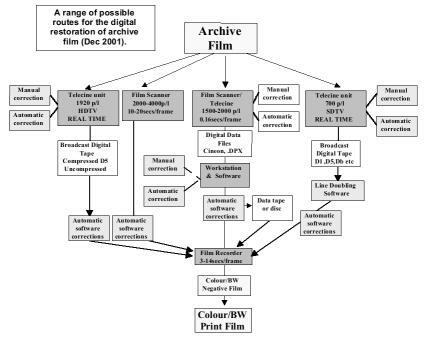 Diagram from a presentation by Paul Read at The East Anglian Film Archive, July 2002.